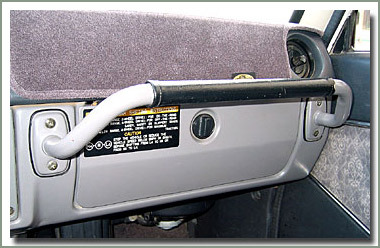 The Leather Non-USA Grab Bar bolts securely to dash board. It provides a convenient secure handle for your passenger. 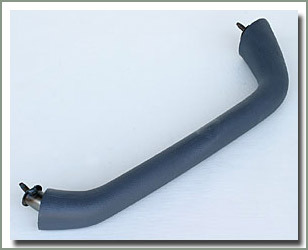 The Glove Box Grip was designed for your 60 Series Land Cruiser by Toyota. 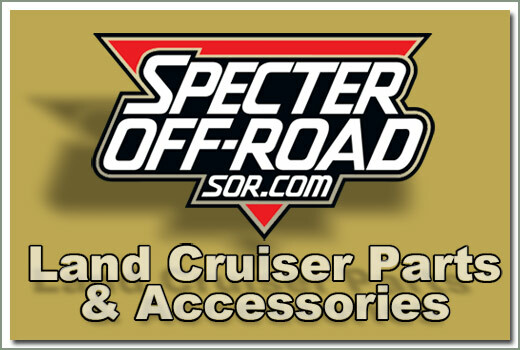 This Non-USA part is only available in the United States at Specter Off-Road. Designed to clear the glove box door. Mounting hardware is not included and requires minor drilling. Fits all 60 Series. Available in factory interior gray. 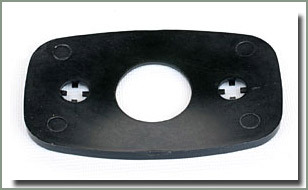 Fits 8/80-8/87 60 Series - Brown leather pad - Designed to clear glove box - Requires minor drilling - Installation hardware must be ordered seperately see #277-73,74 and 75. 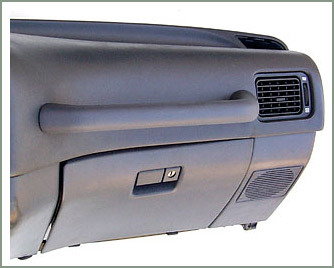 Fits 8/80-8/87 60 Series - Grey leather pad - Designed to clear glove box - Requires minor drilling - Installation hardware must be ordered seperately see #277-73,74 and 75. 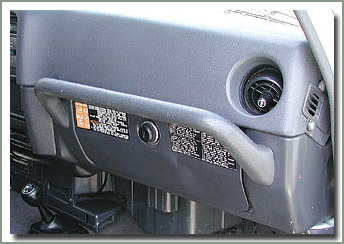 The Glove Box Grip for your 60 or 62 Series Land Cruiser was designed by Toyota to clear the glove box door. The urethane assist grip bolts securely to the dash board. 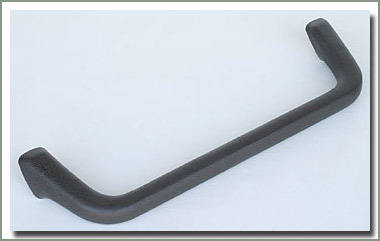 It provides a convenient and secure handle for your passenger. Requires minor drilling to install. Mounting hardware is required. Fits all 60 Series. Available in Factory Interior Brown (B) or Gray (G). 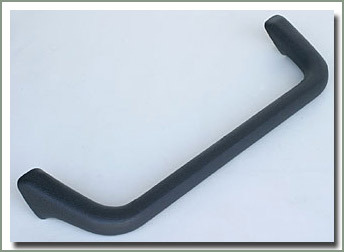 The 80 Series Non-USA Grab Bar is another factory Non-USA Toyota option for the 80 Series owners who would like to have a secure grip for the passenger. This urethane grip bolts to dash. Minor drilling is required. May require professional installation. Available in Factory Interior Brown (B) or Gray (G).